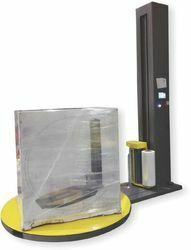 Pallet Stretch Wrapping Machine Tajpack 2100 Pallet Stretch Wrappers are designed to wrap stretch film around a loaded pallet. Film provides extra support while the products are being transported & storage to protect them from tip, spill or from being damaged. The wrapping type and times can be designed according to customers' requirements. The ramp is optional. 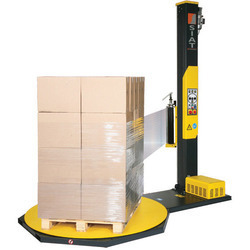 From past many years, we are engaged in offering excellent quality Pallet Wrapping Machine. 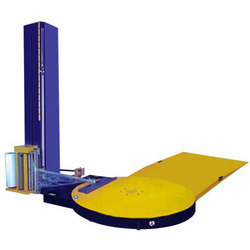 We are an eminent name occupied in providing premium quality Wrapping Machine. Range AS PER YOUR REQUIRMENT. MP5038 series sleeve wrapper is suitable for wrapping pop-cans, bottles etc.It works with PE shrink tunnels. The machine adopts the Germany advanced technology and international famous brands, which makes capability stable and using long-time. The input position is adjustable, base on the size of products packaged. The size of tunnel can be customized as your request.